Students and youth of Lyari are not only known for their interest in football, boxing, cycling and others sports but in arts and painting too. 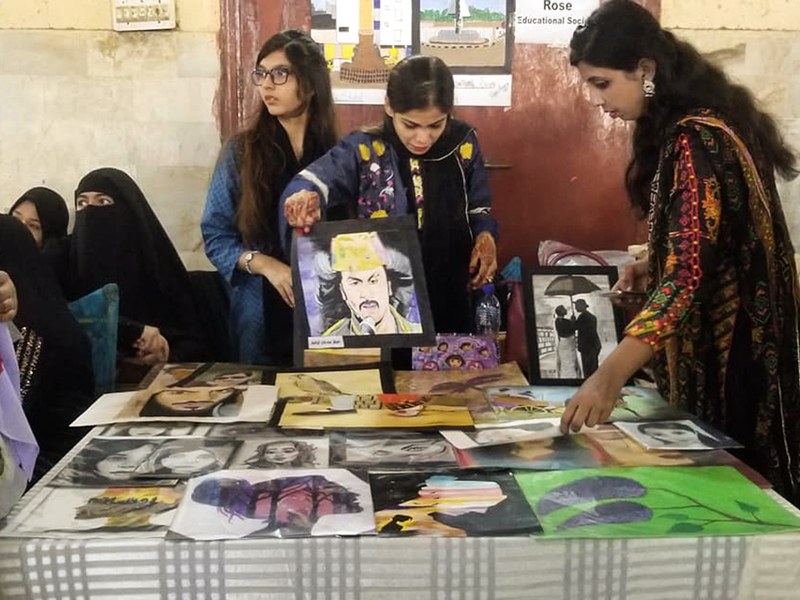 To prove this, students from various private and public schools of Lyari gathered today at Shah Latif Bhittai Hall Nayabad to show reveal their talent in arts and painting in an art exhibition. This exhibition was held by Face Lyari, a local emerging organisation run by some private schools which sets its sight on ways and opportunities for the students of Lyari to exhibit their talent and potential and this time they came forward to manifest creative Lyari through this art exhibition. The hall was full of students and their parents, coming from different parts of Lyari. Different schools had their stalls where paintings, art pieces and models of famous monuments of Lyari were displayed. Parents and guests appreciated their talent and could not leave without a WOW. These kinds of exhibitions help in creating a positive image of Lyari along with motivating students to show their creativity and capabilities.